The other afternoon, my son and I spent some time sitting on our patio, reading books. My nine-year-old has eclectic taste when it comes to music and books. We read a biography about baseball legend Jackie Robinson, we read Curious George Discovers The Sun (a book that mixes the fictional world of Curious George with nonfiction facts and scientific concepts), and we ended with the Dr. Seuss classic Horton Hatches the Egg. In another Horton book, Horton Hears a Who!, Horton is determined to take care of a speck he found because “A person’s a person, no matter how small.” Meaning we all deserve respect and compassion regardless of our size, or how we look, or what we eat, or what language we speak, or who we choose to love. And I’ve come to the conclusion that the world would be a much better place if everyone was more like Horton. 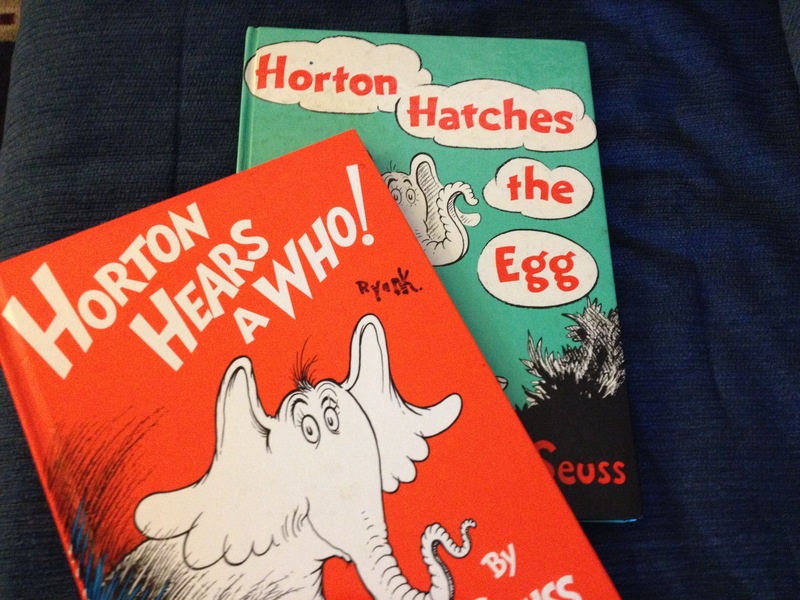 Not that we should all become elephants, but that we should all adopt Horton’s personality traits.